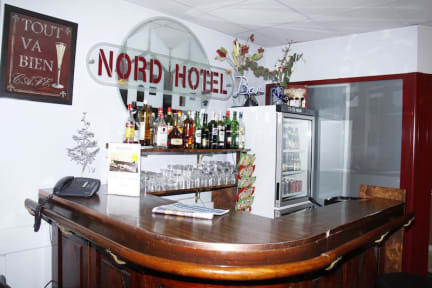 The Nord-Hotel is a modern hotel and easily accessible from the Autoroute or from Lille Europe station. We have a covered and secure car park with space for ninety vehicles. Our rooms, are comfortable and equipped with bathrooms, television and telephones. The hotel is situated on one of the main road close to the town centre, and will suit your needs perfectly whther your trip to Lille brings you on business or pleasure. Our reception is open 24hrs. We serve breakfast between 6h30 and 10h. All rates include local taxes. All rooms have bathroom,tv and phone.